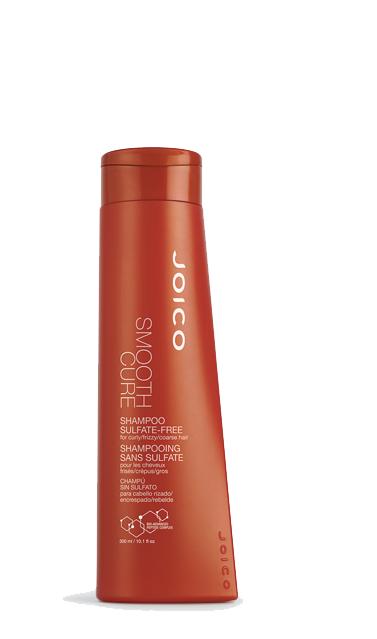 Perfect choice for: Curly or “erratic” hair – whether coarse or fine–that’s in need of some serious taming. Here’s how: Apply to your textured hair; lather, rinse (repeat if you’re craving a second go-round). For ultimate smoothness follow with Smooth Cure Conditioner. The inside secret: Our formaldehyde-free KeraShield Complex – the cornerstone of our smoothing shampoo–contains Keratin, Brazil Nut Oil, and Tucuma Butter, designed to strengthen and straighten, reduce frizz by 79%, and provide 3 days of protection against humidity.